NEW BEDFORD, Mass. 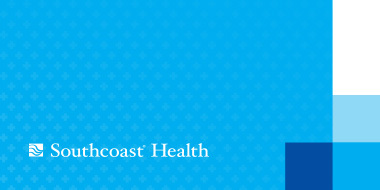 — Southcoast Health’s $100 million investment in its new electronic health record system, Epic, had a significant positive impact on the South Coast region with an estimated $3 million going back into the local economy for hotel room costs, auto rentals, gas and dining. Southcoast Health’s budget to implement Epic was spread over the course of a year and a half from mid-2014 through the system’s completed launch this past October. Roughly 30 percent of that budget, or $31 million, went to costs associated with expenses for Epic staff and consultants. “Any time a major local employer decides to make a strategic investment to modernize its operations, it puts our entire local economy in a much stronger position over the long-term. Epic is not just about improving the quality of an electronic health records system; as welcome as that may be, Epic is about strengthening the competitiveness of the entire Greater New Bedford economy,” said New Bedford Mayor Jon Mitchell. 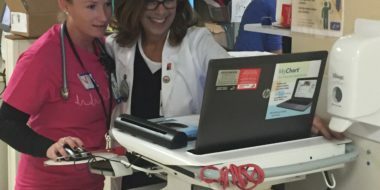 In the last week of September alone, when Southcoast Health was preparing to launch the new electronic health record system, roughly 540 individuals visited the region from all over the country, including Epic’s home office in Wisconsin. In the period from September 31 to October 30, about $700,000 went back to the local economy as the team assisted the launch. In 2015, Lafrance Hospitality Company reported that Epic employees and consultants accounted for 1,170 room nights at the Fairfield Inn & Suites in New Bedford, 500 room nights at the TownePlace Suites in Wareham, and 1,245 room nights at the Hampton Inn in Fall River/Westport. According to Richard Lafrance, President & CEO of Lafrance Hospitality Company, “this volume of business has been a key driver of our hospitality business for the past several years and has afforded us the ability to increases our staff wages and reinvest in our facilities.” In just the period from September 31 to October 7, 440 room nights were used at the Hampton Inn. “The impact of this influx of guests has certainly been multiplied in area business as well such as restaurants and personal services, contributing additional dollars into our local communities,” Lafrance added. Epic will consolidate all of a patient’s medical information into a single electronic record that can be securely accessed by a healthcare professional anywhere in the Southcoast Health system, which includes four hospitals – St. Luke’s Hospital in New Bedford, Charlton Memorial Hospital in Fall River, Tobey Hospital in Wareham and Southcoast Behavioral Health in Dartmouth – two Urgent Care Centers, and over 400 physicians in offices across Southeastern Massachusetts and Rhode Island, as well as the Southcoast Visiting Nurse Association (VNA). With easier access to patient information, physicians and hospital staff can quickly share information, so patients spend less time answering repeat questions or duplicating testing, cutting down on wait times, and allowing physicians to spend more one-on-one time addressing patients’ needs.